Vehicles being checked at a testing centre before the renewal of registration. 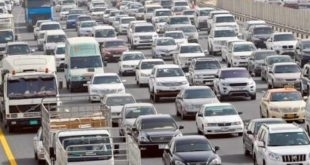 Light vehicle owners will now have to pay Dh400 for first time registration and Dh350 for renewal. 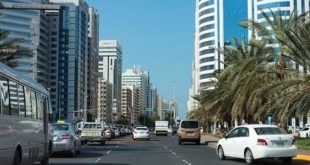 Abu Dhabi: A new unified federal fee structure for vehicle registration and testing as well as driver licensing has come into effect nationwide, according to a decree published in the official gazette. 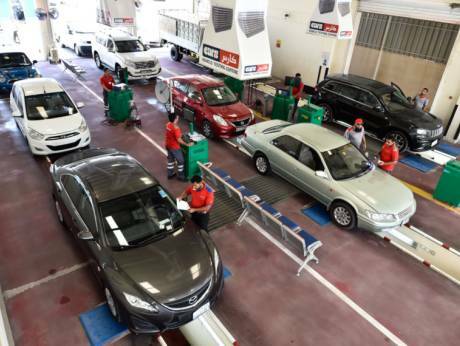 Issued by His Highness Shaikh Mohammad Bin Rashid Al Maktoum, Vice-President and Prime Minister of the UAE and Ruler of Dubai, the federal decree pertaining to the new vehicle licensing fees came into effect on December 1. Shaikh Mohammad issued the Ministerial Decision No. 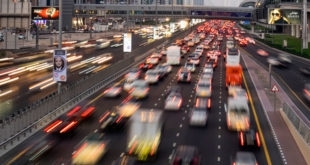 30 for 2017 on October 4 to regulate traffic services and safety, which was published in the latest edition of the official federal gazette. The implementation of the decision means all fees related to vehicle registration and testing as well as driver licences have been revised. In the resolution published in the Official Gazette, Article 2 stipulates that the Ministry of Interior will coordinate with licensing authorities to render, develop and improve services and update systems used in this area, in accordance with Federal Law No. 21 of 1995. The revised fees will be charged in addition to service charges and other related fees taken by authorities concerned in different emirates. Apply for issuing a vehicle registration card in replacement of a lost/damaged one. Previous Cauvery or cricket: What do CSK fans feel about calls to shift IPL matches out of Chennai?